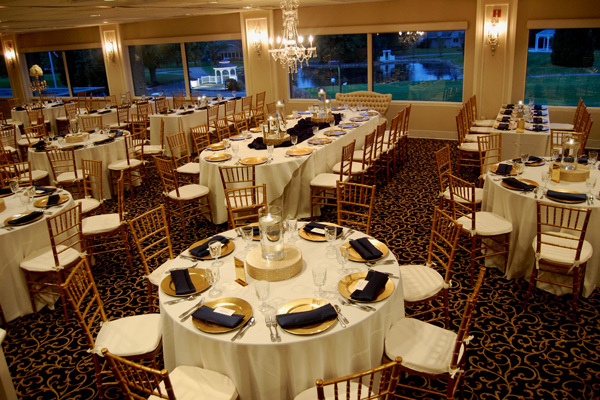 Fabulous Wedding Reception Menus for as little as $22.95 per person. All-Inclusive Ceremony and Reception Packages Start at just $4,000. The Total Cost For Most Ceremony and Reception Packages Is Between $4500 and $10,000. 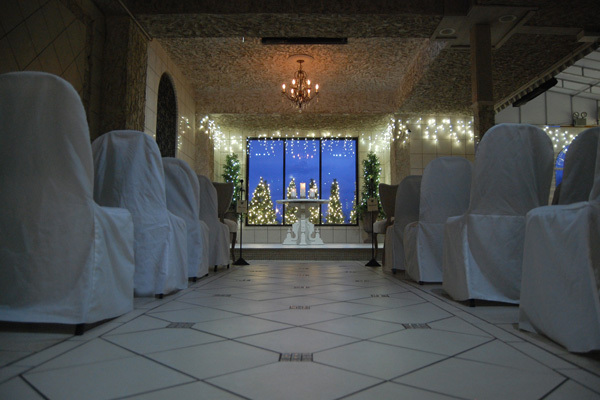 NO ROOM RENTAL or Facility Fee When You Have Both Your Ceremony and Reception at Valle Vista! 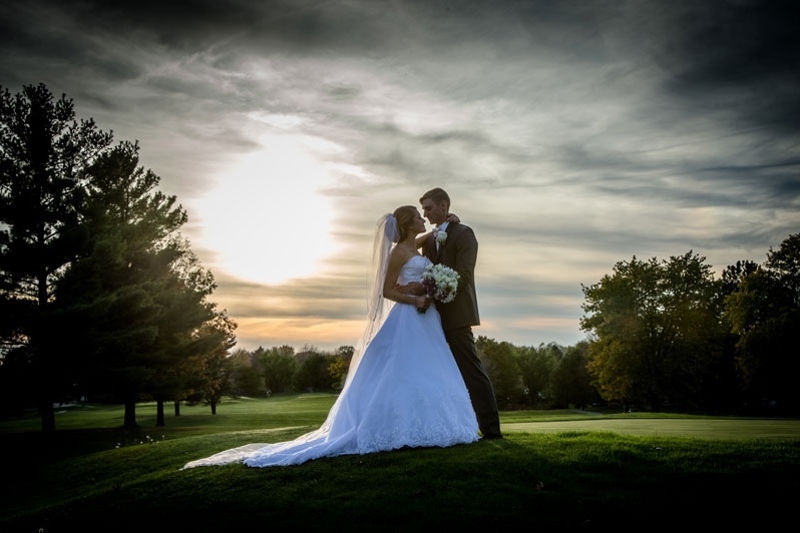 Valle Vista is an Indianapolis wedding venue that gives you plenty of choices for planning your fairytale wedding ceremony and reception. 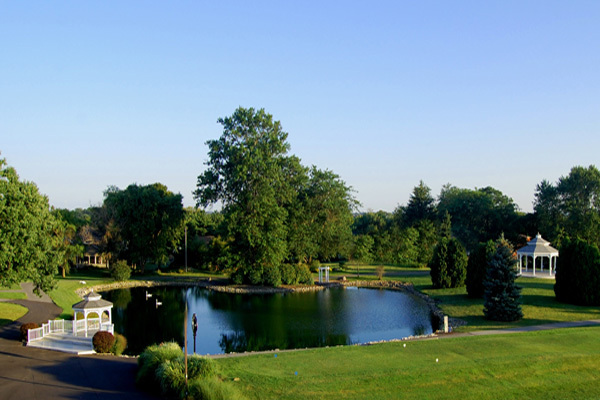 Valle Vista’s magnificent Spanish-style clubhouse sits at the top of a hill and overlooks a stunning golf course. The Veranda on the Green is our open-air terrace with side curtains and full covering. This year-round ceremony space can be heated, so you can have a beautiful outdoor ceremony and never worry about the weather. The setting for your ceremony is simply romantic, you can see the views of the hills, a waterfall, and lush green space. 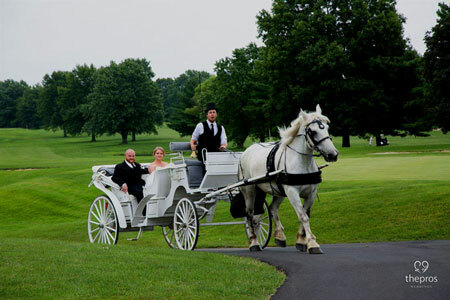 During a veranda ceremony, the bride has an option of arriving in a horse-drawn carriage — it is meant to be a surprise, unless couples opt to spread the word to others; post-ceremony, the happy couple will take a carriage ride for two. 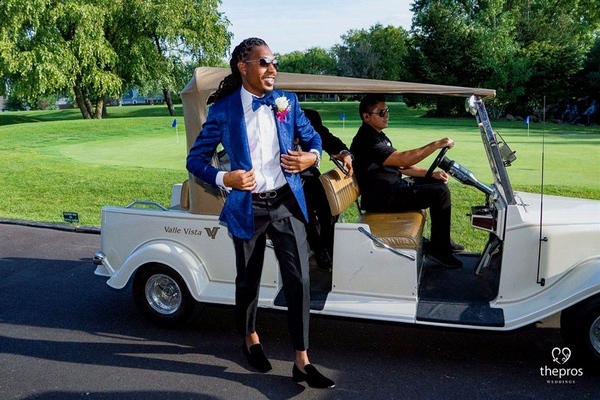 Grooms and groomsmen are not left out at Valle Vista, as they can have the option of riding Mad Men-inspired Gatzby golf-cart limos and entering to their favorite song. 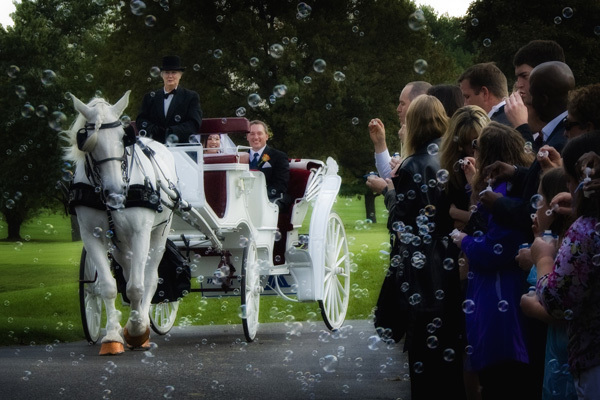 There’s even a Champagne toast for the wedding party that precedes a Gatzby ride to Pavilion Park; en route, you’ll go through Bubble Alley, where loved ones may blow bubbles and cheer you on. How many venues can say that they have a dedicated pavilion park solely for photo-taking purposes? 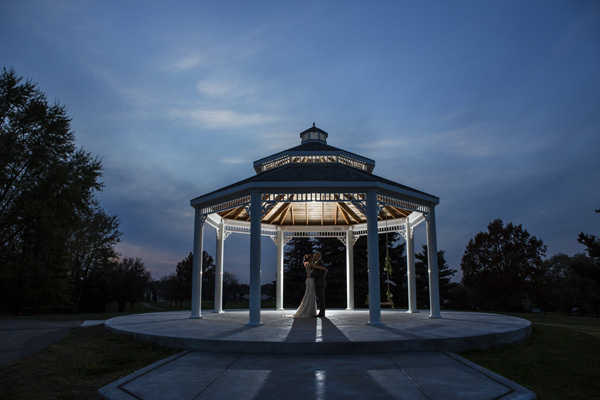 Valle Vista built the pavilion with wedding-day photography in mind. 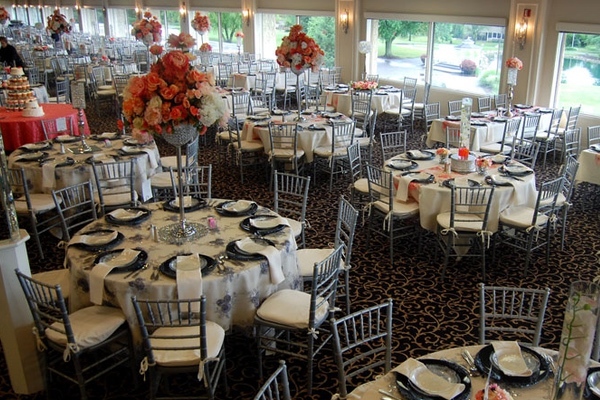 Host an elegant full-service wedding reception in one of our elegant ballrooms that each have panoramic views of our enchanting grounds. 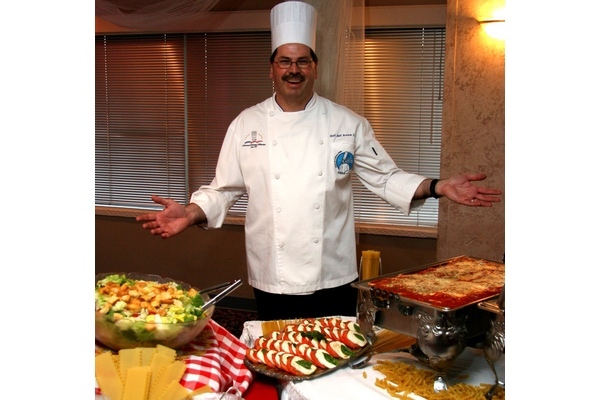 The executive chef prepares fare in a range of cuisines and you can also enjoy a variety of bar services. 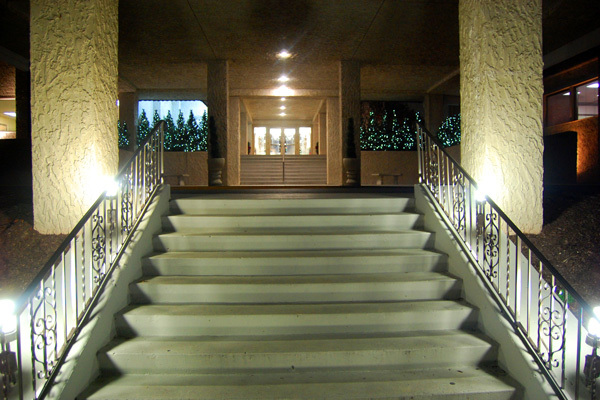 At Valle Vista, we give you plenty of choices to make your day special. Our dedicated staff help you with every step of your wedding planning. As the bride, they made me feel like royalty! I didn’t have to lift a finger and anything I needed they would get for me, even without asking. My coordinator was AMAZING, she made it so easy! It’s hard to have other people decorate your wedding for you when you are used to being in control, but they did EVERYTHING just the way I imagined it! I’ve always dreamed of a “fairytale” wedding and they made that possible! I would highly recommend getting married at Valle Vista-it’s well worth the money! Everything was perfect, the food was great, the champagne was AMAZING, and its just a beautiful place that me and my husband will remember forever. We looked at a lot of venues during the wedding planning process, but none of them compared to Valle Vista. The grounds are absolutely breathtaking and the ornate, outdoor ceremony space is completely covered, meaning there’s no need for a back-up plan if it rains. The staff were all incredibly professional and their execution at every stage was literally flawless. 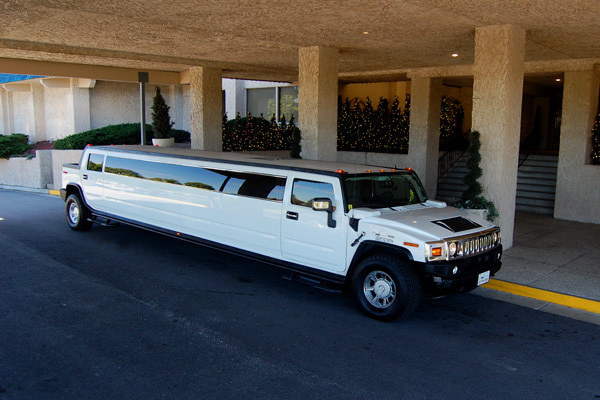 Best of all, the coordination and huge number of amenities and other special offers are included in their base price (or are able to be added for a small charge), which is significantly below that of many other venues that offered far less. 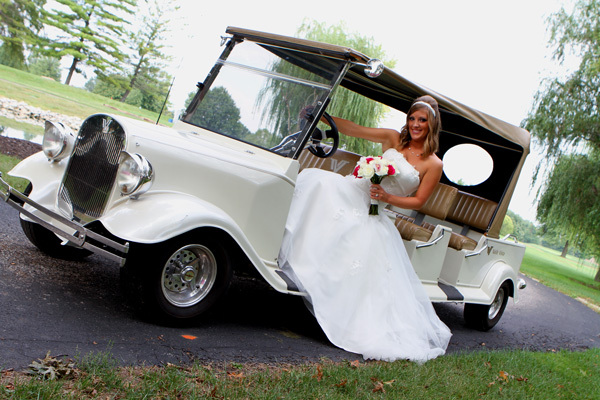 We would absolutely recommend Valle Vista for your wedding. I wanted to take a few weeks to really try to gather my thoughts about my wedding before writing this. I’ve been married for two weeks now and I still don’t think I have the right words to fully describe how perfect everything was. 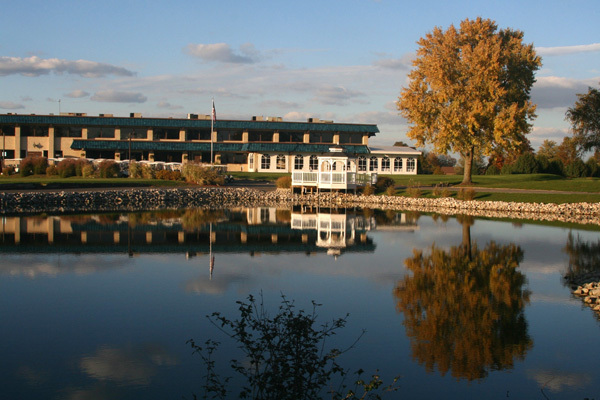 The Vernanda at Valle Vista is simply beautiful, particularly in the winter. Several of our guests remarked that they felt like they had come to a wedding inside a snow globe. And the staff makes sure that everything goes perfectly seamless. From the early planning, to the week of, to the day of, the staff instills a sense of calm and feeling that everything is under control. And it is under control. They’re handling it. You’re just too busy enjoying your perfect wedding to notice.